This is a book illustration titled What's In A Name? 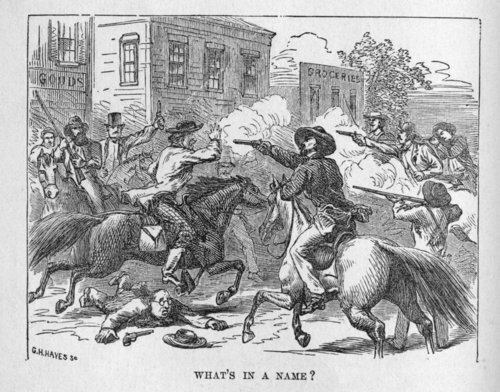 and shows warfare on a street possibly in Lawrence, Kansas Territory. The illustration was copied from Beyond the Mississippi by Albert D. Richardson.